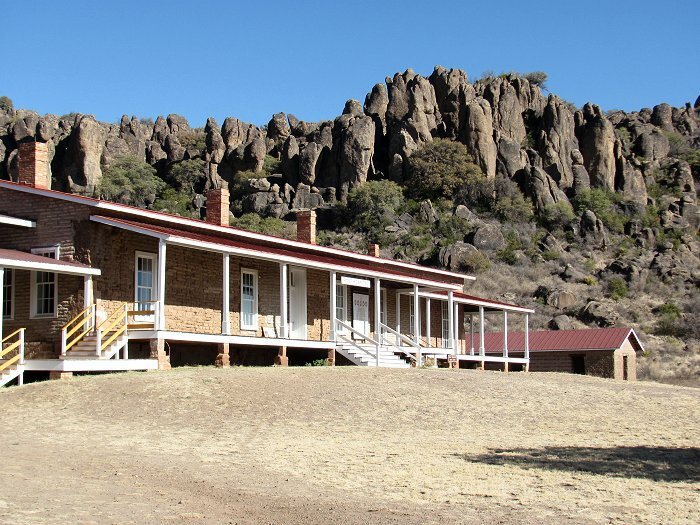 The town of Fort Davis in only about 30 minutes from Alpine. We stopped for an hour and a half there to visit the Fort Davis National Historic Site (one of the units of the National Park System). The old post hospital has just been restored and is now open to the public. 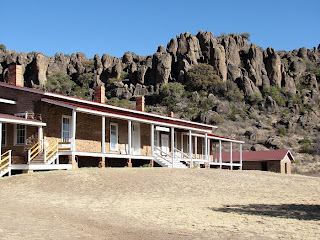 Here's the post hospital backed by the rocky pinnacles of the Davis Mountains.